The American Kennel Club (AKC) is a registry that keeps track of the pedigrees of purebred dogs. It strives to ensure that each dog registered is a recognized, distinct breed of dog. Membership in a regional and national breed club helps a good breeder stay abreast of events and issues that may affect their breed. Participating in breed club activities and events keeps a good breeder connected with other good breeders so important information can be shared, like information on health, nutrition, and training. A good breeder will test for certain genetic disorders and conditions like hip dysplasia and congenital deafness- a problem that all good Dalmatian breeders are working hard to avoid and eradicate. Good breeders submit health testing results to the Canine Health Information Center (CHIC), a database that keeps track of health testing. All results both normal and abnormal are posted there. The CHIC database is one tool a good breeder can use when researching a dam or sire for a particular breeding. Earning a championship in conformation by competing in dog shows is one way good breeders demonstrate a healthy dog is worthy of being bred. A dog who earns his championship has correct conformation, has been socialized and can adapt well to crowds, noise, other dogs and being handled by strangers. A commitment to the process of earning a championship also indicates a breeder’s level of belief and vested interest in an individual dog. 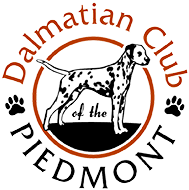 Many good breeders go on to compete in companion events as well, like obedience, agility, tracking and, with the Dalmatian- road trials which test the Dalmatian’s coaching ability- working obediently amongst horses and endurance- his ability to travel at a steady pace with the rider or carriage. AKC registered, AKC championship earned and health screened with a CHIC number is just the beginning. A good breeder carefully considers a dog’s strengths and weaknesses- which attributes to preserve and which might benefit from improvement. A good breeder is always trying to improve the next generation and will seek out the best possible dam and sire combination with regard to pedigree, structure, type and temperament. Once the well planned litter is on the ground, a good breeder will leave nothing to chance. The care and socialization of pups becomes the good breeder’s raison d’être. A good breeder knows that the process of placing a pup with a new owner in exchange for a fee charged is not so much “selling” a puppy… it is really an adoption. A good breeder will ask many questions about you, your activity level, your home and family. A good breeder will want to get to know you a bit to determine if you and one of his or her pups will be a good fit. A good breeder will have a contract that spells out certain assurances such as a puppy health guarantee and certain expectations like the requirement that a pet home neuter or spay the pup at the appropriate age. A good breeder remains in touch with you and is a valuable resource on issues like health, nutrition and training advice. Good breeders always take back a pup for any reason.